The AEF periodically sends out e-Newsletters featuring updates and stories we think will be interesting to our viewers. 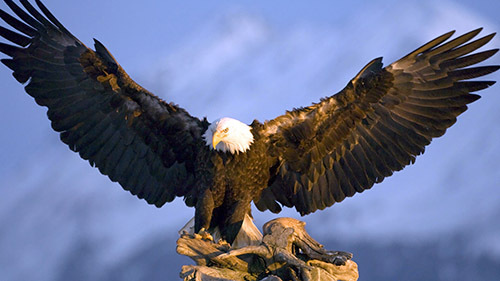 By signing up for this publication, you will learn more interesting facts about eagles and the work of the not-for-profit American Eagle Foundation. The subscription is free, and you can opt out at any time. 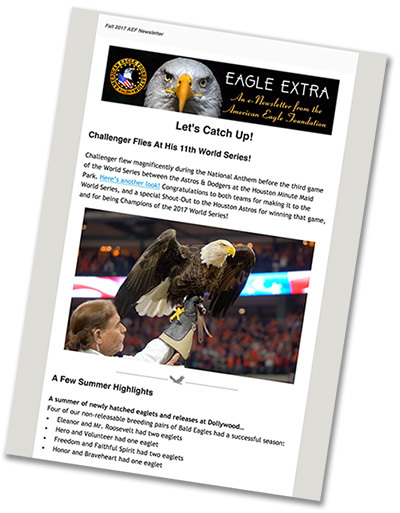 Regular newsletters are published quarterly, with other information regarding special events, projects, and nest cam news filling in the gaps. Below are listed archived newsletters in PDF format.